With a sophisticated new interface and more versatile mixer, Reaper 2.4 looks and feels significantly better than previous versions. 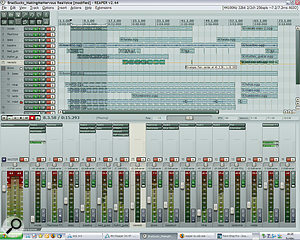 The introduction of Reaper, dubbed "reasonably priced, uncrippled, unexpiring shareware" by its developers, caused a huge stir in the world of sequencing in 2006. It offered a huge number of sophisticated features for very little money, and has attracted a large and extremely loyal following. It's also remarkable for the frequency of its updates: since we last looked at Reaper version 1.828 in SOS June 2007 (/sos/jun07/articles/reaper.htm), the change log has increased by a massive 1672 lines! Many of these changes relate to minor improvements and bug‑fixes, but October 2007 saw the release of a major update to Reaper 2.0 with various completely new features, while the July 2008 release of version 2.4 was a second significant update that provides us with the perfect opportunity to revisit the application. One of the most obvious improvements is the rather more sophisticated default interface created by graphic designer 'White Tie'. The somewhat bland look of its predecessor is still available as an option, and the skinning support has been significantly enhanced, so that you can change the look and feel in many other ways. Some users might consider such 'themes' rather frivolous, but there's no denying that the look and feel of a sequencer that you may be using for many hours at a time can become extremely important. Alternative 'themes' created by users and available for free download on the Reaper forums range from 'minimalist with tiny icons' for those who want to get the maximum number of tracks on screen, to finely sculpted looks reminiscent of expensive hardware. Other visual enhancements since we last looked at Reaper in SOS are the new Extended mixer view that gives you the option of displaying both FX sends and inserts on each channel, and the introduction of Screensets. Beloved of Logic users, these allow you to carefully size and arrange the various windows to best suit recording, editing and mixdown tasks, and then switch between them with a single key‑press. 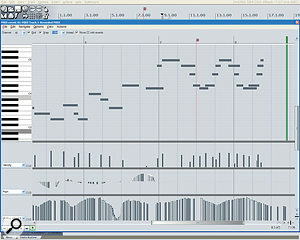 MIDI editing features have been greatly improved, with multiple controller lanes (shown here) and a new Event List option. In my previous Reaper review, the first item in the 'cons' list was the lack of a MIDI List Editor, so I'm pleased to report that this has now been remedied. It's also now possible to have multiple lanes across the bottom of the MIDI editing window so you can view and edit velocity and other controller data simultaneously (hooray!). A new Drum mode displays notes as diamonds, without length information, and allows you to enter names for each note, to create editable drum maps. The latter are best viewed in conjunction with the new Named Notes mode, which shows text without note graphics, although the names also remain visible in the traditional piano‑roll view, where I found them really useful for labelling sample‑library keyswitches and effects. Unlike many sequencers, Reaper allows you to switch at will between the various modes (Piano Roll, Named Notes, Event List and Drum) within a single window, which I found incredibly convenient. You can now record multiple 'takes' of a performance and have them displayed one above the other in 'lanes' so you can create a composite track. 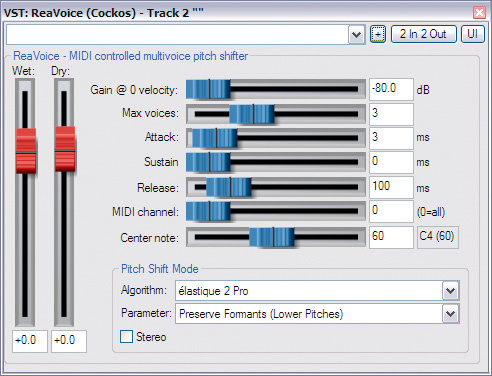 Each take can have its own volume, pan and mute envelopes, while a clutch of 'per‑item' enhancements have been added, including locking, envelope automation and effects. Related to the lanes, but even more intriguing, is the new 'free positioning mode', which can be individually enabled for any MIDI or audio track. As with most other sequencers, you can drag multiple items into overlapping positions to crossfade between them, but with this new mode enabled you can also place them above or below each other in the lanes, so that they play in parallel. If you want to fake double‑tracking, for instance, you could copy and paste an existing part into an adjacent lane slightly later than the original. 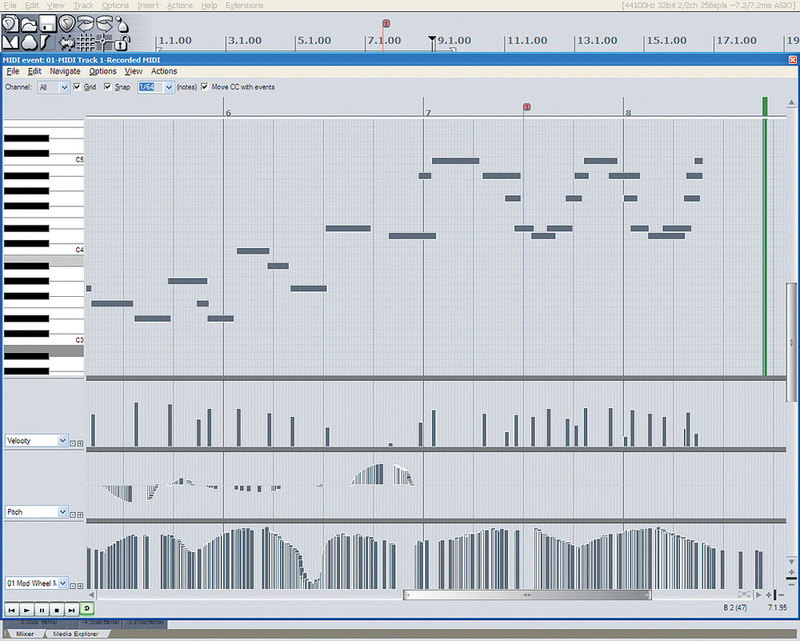 I still miss the ability to view and edit several MIDI parts across multiple tracks within a single window, which is very useful for ensemble work when you need to edit various instruments simultaneously. There's still no score editor, either, although you can now edit any single Reaper MIDI or audio item externally by nominating an external 'secondary editor' application. 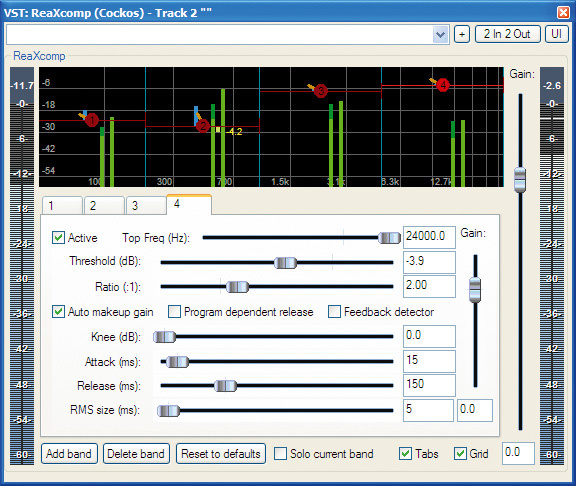 I soon got the demo version of QuickScore Elite (www.sionsoft.com) working well for MIDI score editing, and this modular approach bodes well for Reaper's future. Cockos have also opened up Reaper to third‑party extensions in the form of plug‑in APIs (Application Programming Interfaces). This means that other developers can come up with extra 'bolt‑on' functions: you just drop their DLL file into the Reaper Plug-ins folder and a new Extensions menu appears, listing the extra commands. Several programmers have already risen to the challenge, the most notable being Xenakios (http://forum.cockos.com/showthread.php?t=20771). The bundled Rea plug‑in series has some new and useful additions, shown here in some of the various graphic 'themes'. 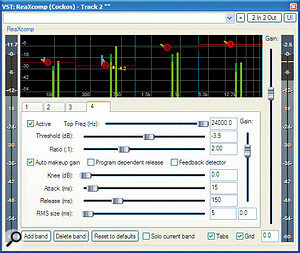 For many users, the most significant enhancement on the audio side will be that Reaper 2 now licenses the high‑quality Zplane Elastique 2 algorithms for its pitch‑shifting and time‑stretching; these are also used by many other audio applications including Ableton Live, Mackie Tracktion 3, NI Kontakt and Steinberg Cubase 4. They're available as off‑line functions on individual project items, and in the new ReaVoice MIDI‑controlled multi‑voice pitch‑shifting plug‑in, which lets you add complex harmonies to existing audio tracks using a MIDI performance. 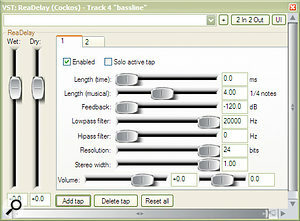 Other souped‑up plug‑ins now included are the comprehensive ReaDelay, offering a user‑defined number of delay taps, each with versatile low‑ and high‑pass filtering and bit‑resolution controls for the repeats, the ReaXComp multi‑band compressor, with its click-and-drag graphic display that gives you as many or as few bands as you need to do the job, and the effective ReaVocode, which, of course, benefits from Reaper's flexible routing options. Amazingly, most of the ReaPlugs are also available in stand‑alone VST versions (www.reaper.fm/reaplugs) for use in other VST‑compatible host applications, completely free of charge. For those who work with lots of loops, or who like to use markers to label verse, chorus, and so on, Reaper can now optionally display any cue (single sample location or 'marker') or loop (start and end location) found embedded within a WAV file when you load it into a project. You can then edit these markers as you like within your project, leaving the original cue/loop info intact in the original WAV file, and when rendering a final audio file from Reaper you can also choose to export these markers and regions for use within another application. Finally, Reaper's routing is already legendary for its flexibility, but in version 2.4 you get 'Parameter Modulation', which lets you change the value of any automatable plug‑in function according to the level of an audio track. While volume ducking is an obvious application, parameter modulation opens up a whole raft of new possibilities, such as altering compressor settings on the fly, tweaking instrument EQs while vocals are sounding to give them more space in the mix, or changing reverb or other effects depending on what else is happening in the mix at the time. Within a couple of minutes I'd set up a guitar solo with envelope‑driven wah‑wah and echos that sounded only on the loudest notes. Very clever indeed! 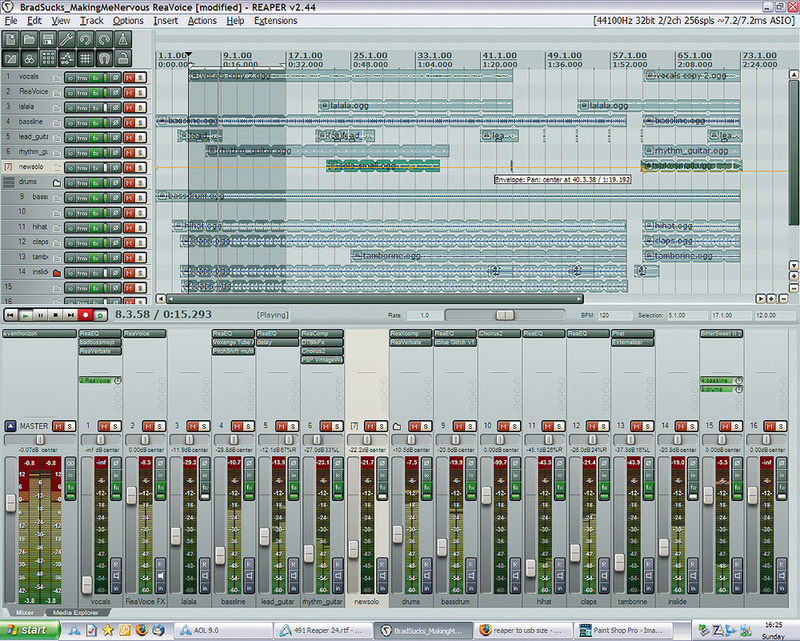 On a technical level, I consider Reaper 2.44 a marvel. Despite the many new features, it's still small enough to install and run on a USB memory stick — even with a good selection of third‑party plug‑ins it will still fit quite easily into 128MB, making it a truly portable 'keychain studio' — while its multi‑core processing performance surpasses that of many competitors. Reaper's low registration cost, lack of copy protection, quick installation, small footprint and huge number of bundled plug‑ins are still big points in its favour. I suspect some would be more convinced of its excellence if Cockos significantly raised the licence cost, but those in the know (and I consider myself one of that number) simply regard it as a bargain. Try it out and judge for yourself. The Reaper 2.44 download is just 3.3MB, and runs on Windows 98, ME, 2000, XP and WINE (the compatibility layer that allows Windows applications to run under several other operating systems). A similarly sized beta version is available to Windows XP x64 and Vista 64‑bit users, and a 7.3MB beta version is also available for Apple users, running on OS 10.4 or 10.5 on Power PC or Intel Macs. As with all sequencers, hardware requirements vary significantly, depending on how many plug‑ins and soft synths you want to run, but I'd recommend a baseline of a multi‑core processor and 1GB of RAM, along with ASIO sound drivers for low latency. The MIDI Quantise dialogue now offers a swing function and looks altogether more sophisticated, courtesy of its new slider controls. A useful jog/scrub function has been added, and is accessed either by clicking your middle mouse button or by dragging the top of the edit cursor. It can now sync to LTC & MTC timecode. Reaper can now import session files from IZ's Radar hard disk recorders. Automation recording can now include Mute status. 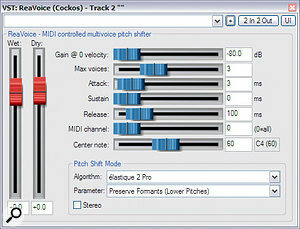 Far more sophisticated MIDI editing features. Plug‑in parameter modulation from audio sources encourages new creative possibilities. Pitch‑shifting and time‑stretching quality now as good as any other application. Can be installed on a USB stick to create a 'keychain studio'. Can be initially confusing if you're used to other sequencers. Still no way to edit MIDI items across multiple tracks in a single window. 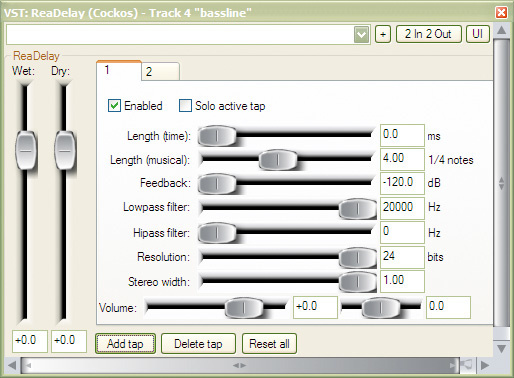 Reaper 2.44 offers many new features in both audio and MIDI departments and remains incredible value for money. Once you get to grips with its slightly different approach, it provides great versatility and unique creative options. Non‑commercial licence $50; commercial‑use licence $225. PC with Intel Conroe E6600 2.4GHz dual‑core processor; Intel DP965LT motherboard with Intel P965 chip set and 1066MHz system bus; 2GB Corsair PC2‑6400 DDR2 RAM; Windows XP Service Pack 2.